2011 has been a big year for television sets, with many people upgrading their old TVs for the flashier, sleeker, and bigger models. The 3D TVs were also touted to be groundbreaking and were pushed a lot in the market. However, it seemed that the the market for 3D TVs is still in its infancy, with lots of people opting for the non-3D versions for various reasons. I know that personally, the price is a big factor for not going for a 3D TV. Add to that the inconvenience of having to wear 3D glasses in order to enjoy the main “advantage” of this kind of TV, and you have even fewer buyers. More than the inconvenience of having to wear 3D glasses at home, those glasses can cost quite a lot as well! Now what if 3D TVs have no need for 3D glasses? That is exactly what the company Stream TV Networks is going to launch come the CES this January. They have a new technology, which they call Ultra-D. This display technology is revolutionary in that consumers can actually enjoy all the benefits of 3D without having to don any eye wear. What Ultra-D does is to convert 2D content to 3D content in real time. In addition to that, Ultra-D can convert 3D content – the kind that requires the use of glasses – to 3D content without the need for glasses. The ability to carry out these conversions rely heavily on a combination of hardware and software, which the company calls autostereoscopic 3-D imagery. 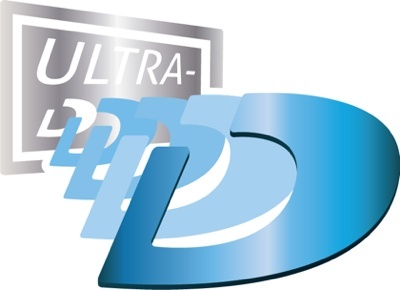 If you are thinking that you are not big on 3D movies or TV shows anyway, you still might be convinced to take a look at Ultra-D. Stream says that their technology is not solely for TV and movies, but is also usable for PC gaming. Now that is a whole different story, isn’t it? If 2011 was a year when 3D TVs didn’t quite make the splash that supporters thought it would, with this kind of development, 2012 might just become the year of 3D TVs. What do you think? Will you give this technology a chance or do you need more convincing?